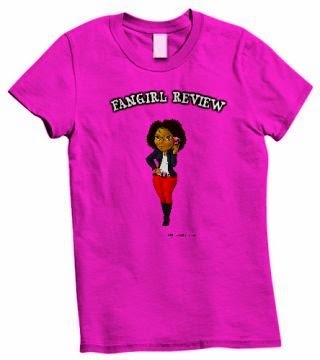 Fangirl Review: New POWERS behind-the-scenes video! A place where we get to share with you all the things our inner geek loves. We will look at everything from graphic tees to graphic novels, from video games to movie reviews. Geek out with us! POWERS: An Inside Look, a new behind-the-scenes video, takes you on location for an up close and personal look at the cast and crew working to bring this unique vision to life. Actors Sharlto Copley (Christian Walker), Susan Heyward (Deena Pilgrim), Noah Taylor (Johnny Royalle), Eddie Izzard (Wolfe), Michelle Forbes (Retro Girl), writer and show runner Charlie Huston, and co-creators Bendis and Oeming offer insight into the production and the world of POWERS itself. Whether you’ve never heard of POWERS or you’re an ardent fan of the comics anticipating the premiere, don’t miss POWERS: An Inside Look! 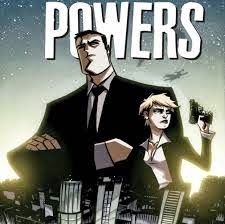 The first three episodes of POWERS premiere on March 10th on PlayStation Store, with subsequent episodes debuting weekly. PlayStation Plus subscribers will be able to watch Season 1 for free. Powers, an edgy dramatic series from Sony Pictures Television and inspired by the graphic novel series of the same name, follows the lives of two homicide detectives, Christian Walker (Sharlto Copley) and Deena Pilgrim (Susan Heyward), who are assigned to investigate cases involving people with extraordinary abilities, referred to as “Powers.” Set amidst today’s paparazzi culture, Powers asks the questions, what if the world was full of superheroes who aren’t actually heroic at all? What if all that power was just one more excuse for mischief, mayhem, murder, and endorsement deals? Enter the men and women of the Powers Division, the only people brave enough to go up against the overpaid, commercialized, super humans who glide through the sky imposing their power over the crowds below who both worship and fear them.